The SIE is a huge departure in that for the first time, FINRA will be allowing individuals who are not associated with financial firms to take the exam. Unlike traditional securities exams that require an individual to be an employee of a sponsoring firm, the SIE Exam allows university students and career changers to take the exam without sponsorship. Another difference between the SIE and traditional FINRA exams, is that the SIE Exam will not allow an individual to perform a particular function, but will instead serve as a prerequisite for taking additional “top-off” exams in their desired area of expertise, a little like a foundation course before launching into a degree. 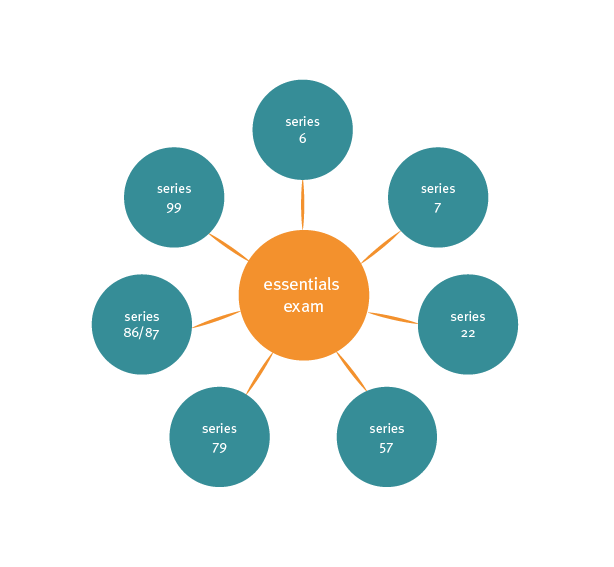 A combination of the SIE Exam plus a top-off exam will be equivalent to the securities exams currently being offered (e.g. Series 6, 7, 57, or 79). So, what does that mean for firms? How Can Firms Benefit from the SIE? Ensures new hires are interested in working in the Financial Services Industry. Demonstrates a candidate’s ability to pass a securities exam. Saves firms money on exam prep, salary, and the cost of the actual exam. They would only pay for the top-off exam. Educates staff members that do not need to be registered; can be used during the onboarding process to provide staff with base knowledge of the Securities Industry. Watch a video explaining the benefits. And what does it mean for individuals? How Can Individuals Benefit from the SIE? Sets you apart from other job applicants (you can add this to your resume). Demonstrates your knowledge of the industry. Shows firms you are serious about a career in Financial Services. Proves to firms that you can pass a securities exam (firms like to hire candidates who they predict will be successful). Plus 10 additional, unidentified pre-test questions which will not count towards a candidate’s score. Time allotted – One hour and 45 minutes (105 minutes) to complete the exam. Examination fee is £90 plus delivery. We expect the exam to be challenging and require candidates to have an understanding of many different aspects of the securities industry. Everything you need to know to launch your financial services career. How will the SIE benefit your employees?